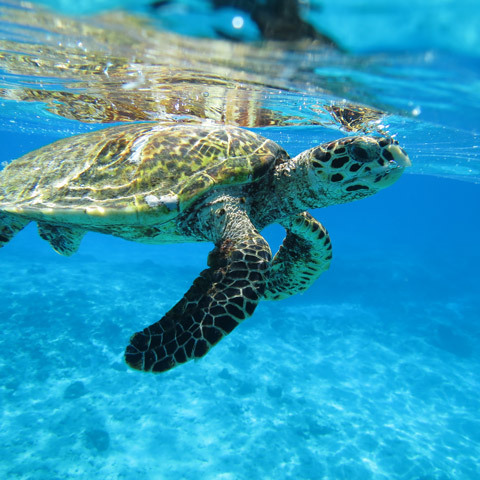 North Island is a critically important nesting site for two species of sea turtle, the Hawksbill (Eretmochelys imbricata) and Green Turtle (Chelonia mydas). 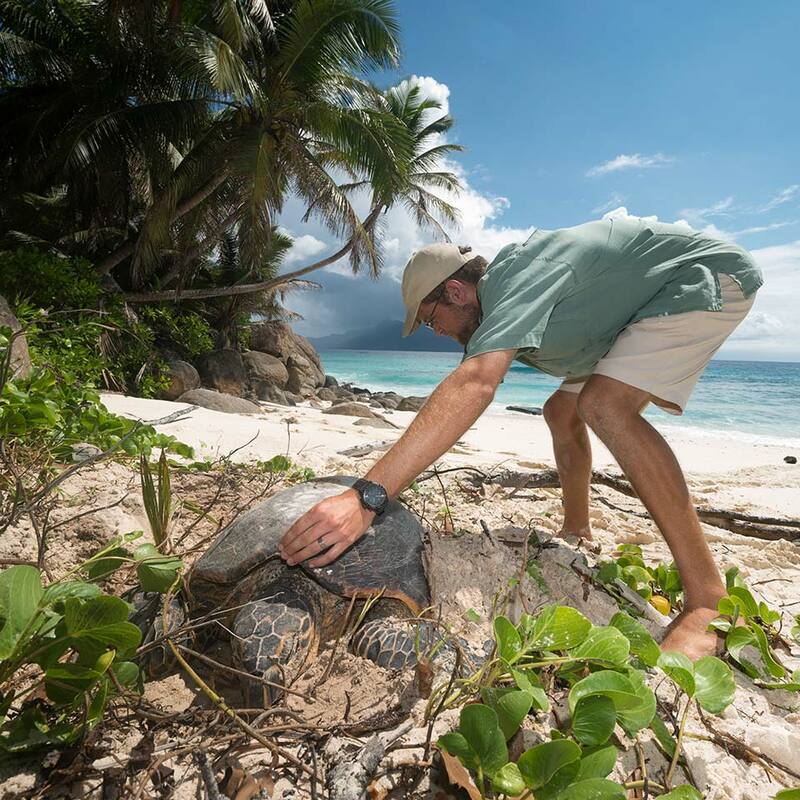 Both species have been legally protected in Seychelles waters since 1994. 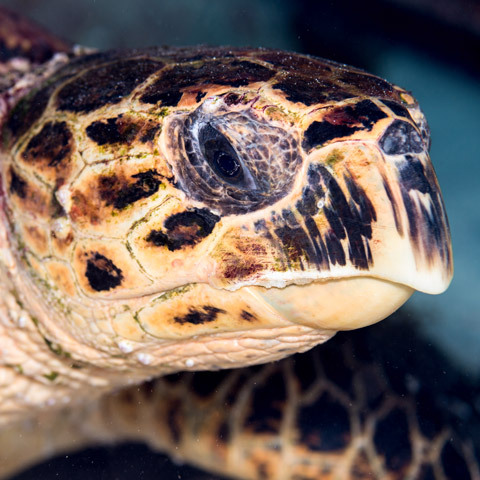 Green Turtles are the most herbivorous of all turtles, while the Hawksbill in contrast uses its sharp beak to feed on sponges and other marine invertebrates. Green Turtles are the larger of the two species. As with all sea turtles, females laboriously drag themselves up a favoured beach and dig a nest using their hind flippers. The eggs then take around two months to hatch. 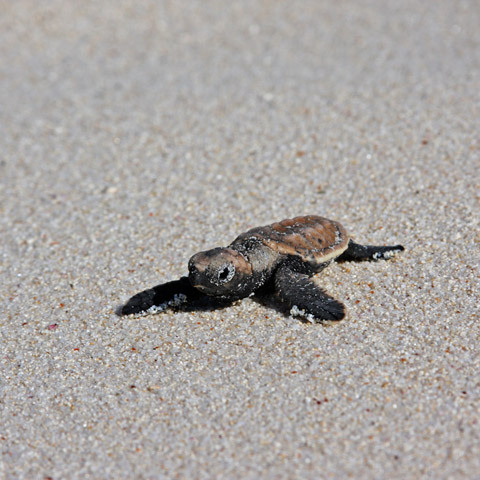 Hawksbills typically nest in the daytime whereas Green Turtles emerge from the sea at night. 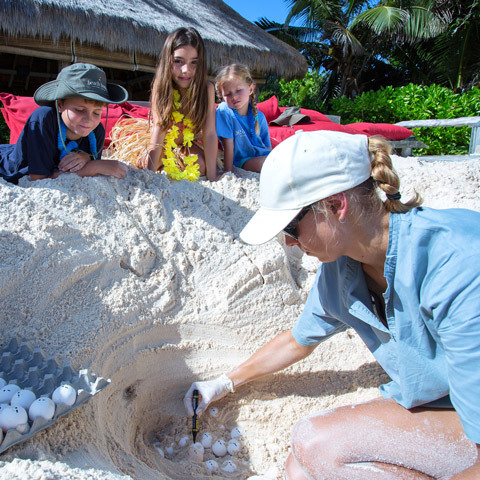 Hawksbill nesting season is from September to March, while the Green Turtle nesting season runs from January to September. Monitoring and recording of sea turtle nesting activity has been in place since 1998, with systematic data collection since 2004. 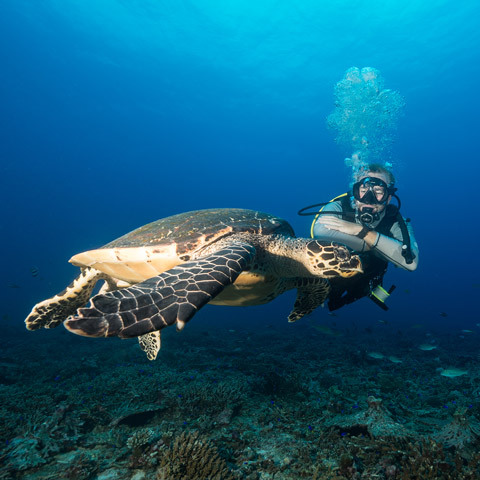 The island has seen the number of Hawksbills utilising the island double, together with a remarkable 6-fold increase in the number of Green Turtles. 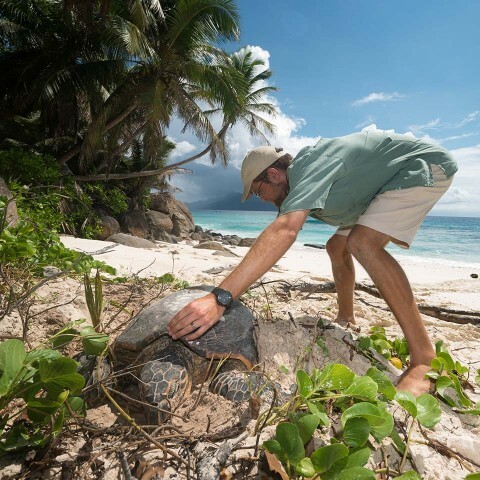 North Island has the highest density of nesting Green Turtle of the inner island of the Seychelles. Every morning, dedicated on-site conservationists together with eco-tourist volunteers patrol the four beaches for signs of turtles. 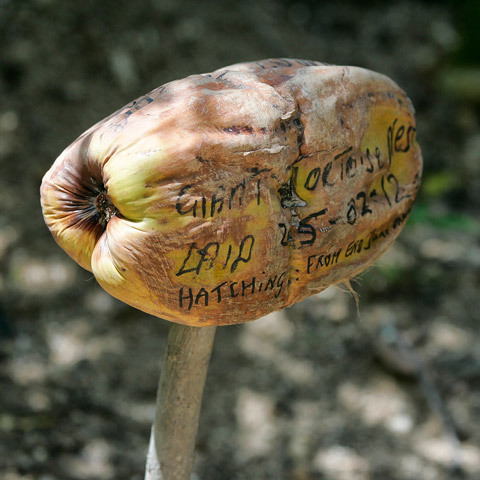 Turtle nests are marked out and labelled with bamboo sticks and a coconut, stating the date laid and the species. 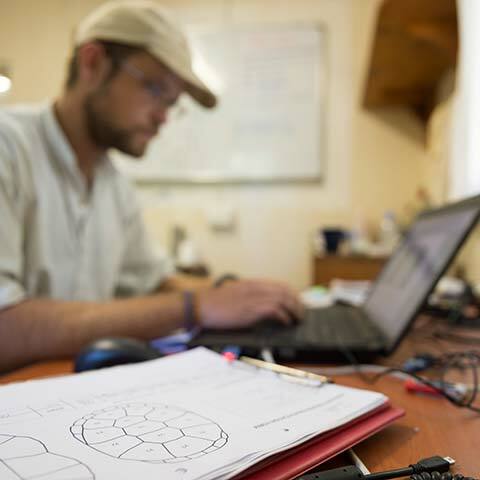 All the data recorded is captured in our turtle database. Turtles which already have identification tags are recorded and those without are given unique titanium tags.